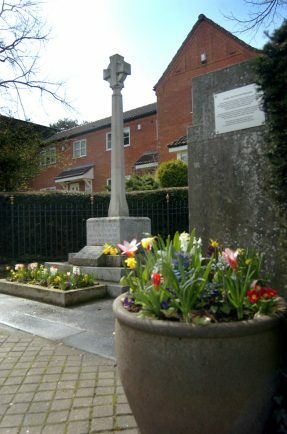 A DESPERATE plea has gone out for the last chunk of money needed to add 24 missing names to the war memorial in Studley. The names came to light after research by historian and former local resident Arthur Cook into people from the village who died in the Great War. To his astonishment he found 24 natives of Studley who had died in the conflict hadn’t been recorded on the Alcester Road memorial. And with the 100th anniversary of ending of the war – on November 11, 1918 – fast approaching, the race has been on to get the newly found fallen added to the memorial. An appeal brought an immediate response, including what Phil describes as ‘three sizeable donations’ from local residents. However with the memorial stone already ordered from Portland and due to arrive in the next four to six weeks, the appeal is still £900 short. “The cenotaph will be completely cleaned in preparation for the arrival of the new stone and in time for the centenary – we just need some more donations, from businesses or individuals, to get the job done,” said Phil. Anyone who is able to help can contact Philip Hunt on 07764142762 or email superdad118@hotmail.com. Private F Ainge, Sargeant P Baylis, Pte W Bennett, Sapper EH Blundell, Pte H Chamberlain, Pte JW Chambers, Pte F Chester, Sgt AJ Clayton, Pioneer H Cooper, Sgt CF Cottrill, Pte HT Daffin, Pte WE Fielding, Rifleman AA Gibbs, 2nd Lieut TH Gosling, Pte WW Harris, Pte FH Johnson, Pte WS King, Pte JH Moore, Pte. J Newman, Pte J Parker, Pte GE Pettifer, Pte F Pinfold, Pte W Simmonds, Pte WH Smith.